It was 7 am when my alarm suddenly went off bringing me back from the world of dreams. I was dreaming of the sea, jumping the waves and floating on the surface, but it seemed like my dreams wouldn’t come true. Not this time, not in this trip. While the weather in Ischia, where I was at the moment was still mild and sunny, the water was already cold, or at least cold for me, who last swam in the 34-degree Red Sea in Egypt in July. 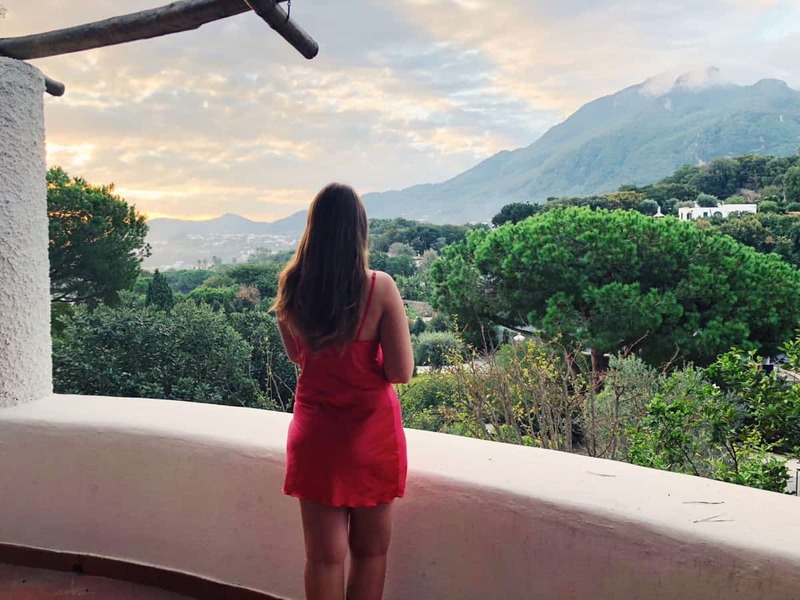 I stretched, slowly stood up and opened the curtains unveiling the most beautiful view you can imagine in Italy. The sun was still rising and the gorgeous landscape was led by its warm sunlight. Not yet bright and pitiless how it would be at 1 pm, but already warming and enjoyable. I opened the balcony door, which at the same time was the entrance to my room from the territory of the Garden and Villas resort and slowly stepped into the balcony. Nature was just waking up, a bit slower than me, who was fully awake and ready to start a new day in Ischia. From the balcony, I could see a beautiful mountain behind the countless trees and cute little white houses. And the sea, of which I was dreaming all night long. The sun was slowly getting up and I just stood there, mesmerised by the quietness and stillness of the landscape. No rush and hassle, honking of the transport, overcrowded tube and busy working people ready to push you aside in order to get to their destination fast, as if they were in a never-ending race. 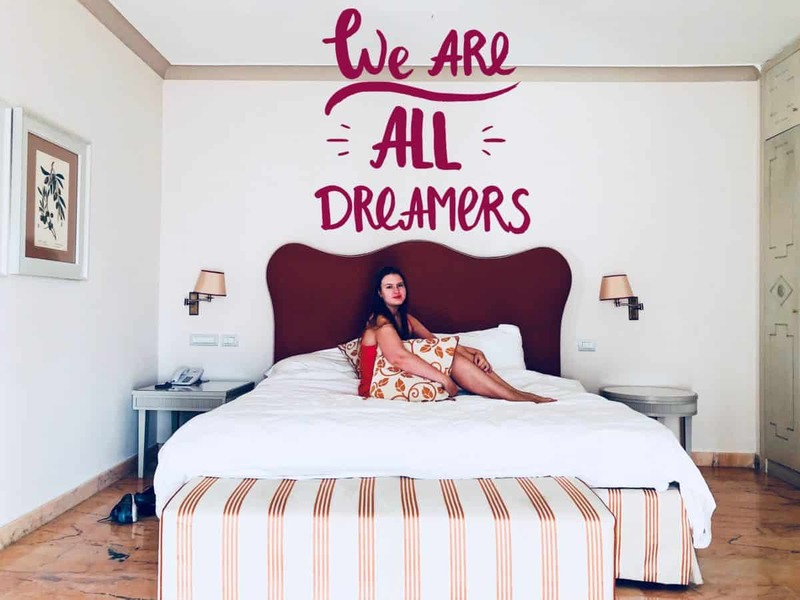 Ischia was a quiet paradise needed too much to disconnect from everything and have a break from a megapolis. I quickly chose what to wear for today: pink washed out jeans and a white T-shirt. Simple and yet colourful and bright, just like my mood these days. I closed the door and went outside, to the territory of the resort. 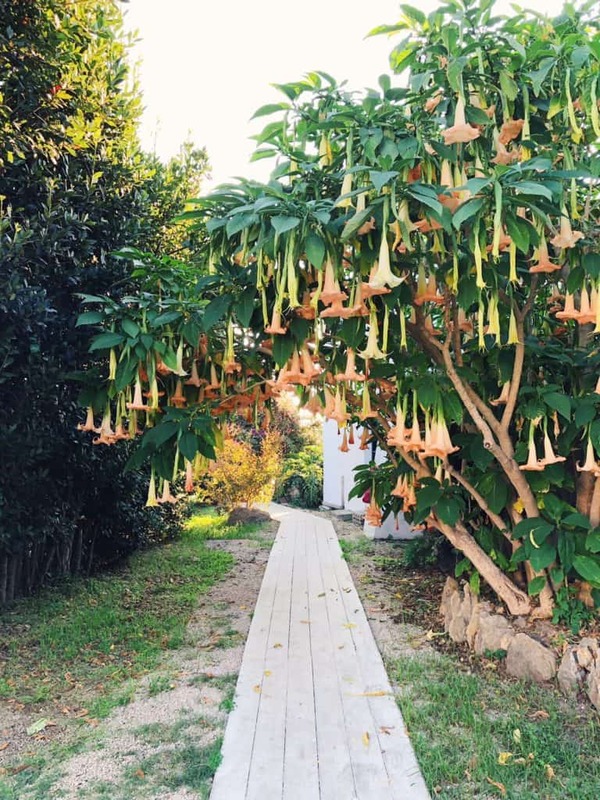 I liked Garden & Villas right away, I think it was love at the first sight when I couldn’t find a way to the Grotto bar in the evening just after arriving to Ischia. It’s a good sign when you get lost in the hotel. It’s so much worse when you see all the places spread before your eyes. Garden and Villas resort was a maze full of stairs and villas covered by trees, and the restaurant was particularly hard to find. I had to use the stairs, go to the left, use other stairs, turn left again, go through an arch and a very smelly tree and then turn right. 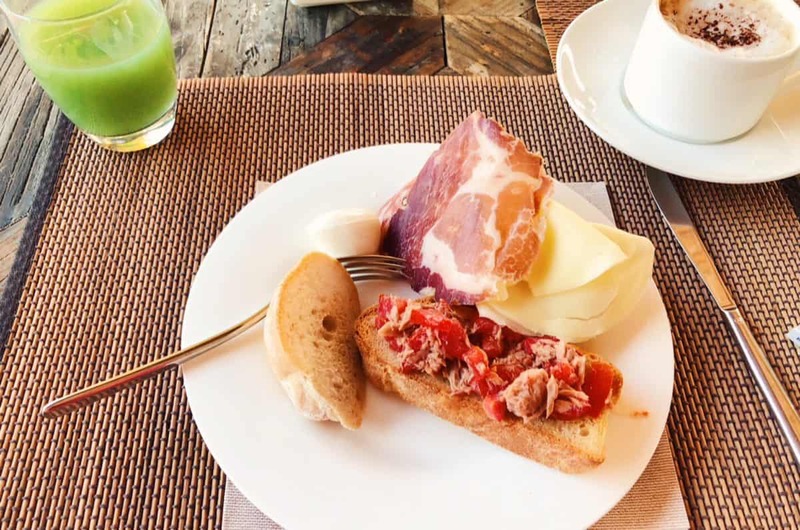 That I realised after asking a lovely lady I met on my way to the breakfast, who was a member of staff and with whom I tried to use my scarce knowledge of Italian. “Buongiorno! Scuzi, dove e il ristorante?” After seeing me completely lost and terrified (terrified because I was already terribly late for breakfast) she just guided me there. -Buongiorno. Would you like something to drink? -Yes, please, cappuccino! Grazie mille! The coffee was just what I needed to energise myself after 6 hours of sleep and prepare myself for another day in beautiful Ischia. 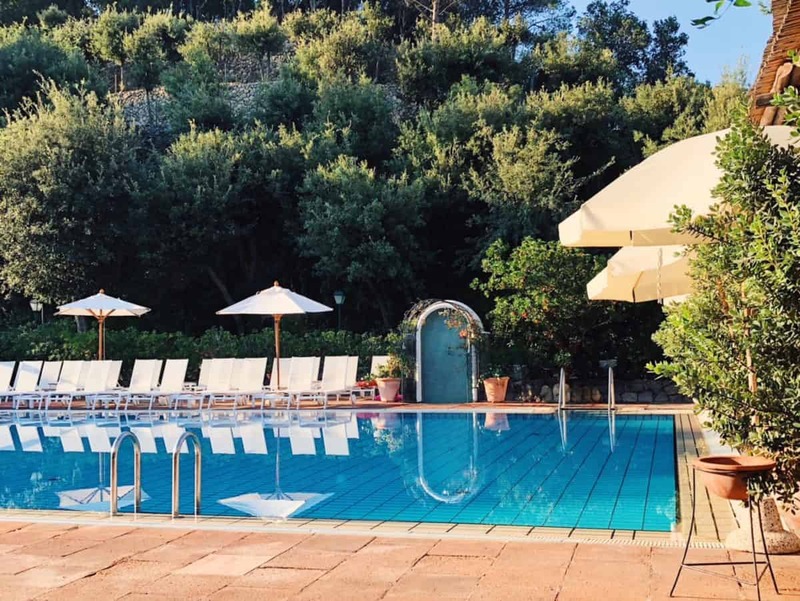 Climbing a volcano, visiting a castle and having a lunch in a Michelin-star restaurant were on the schedule for today and I was excited to start the day full of exploration and discoveries and then return to the gorgeous Garden and Villas Resort Ischia and fall down to the king-size bed, exhausted and happy. The story about the rest of my adventures in Ischia you can find HERE. However, if you’re too used to Booking.com, you can also find it there. 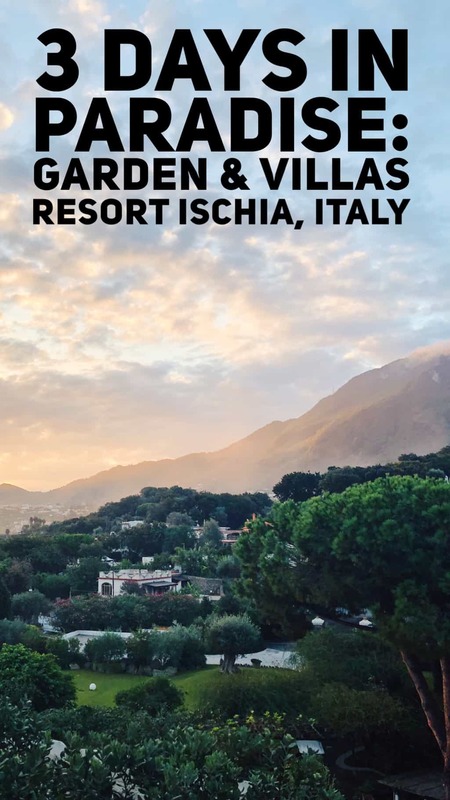 I would like to say huge thanks to the Garden and Villas Resort Ischia, that hosted me during my stay in Italy and Imperatore Travel, who took care of the rest of my trip.